SURIGAO Today: Liba-liba again in Surigao? 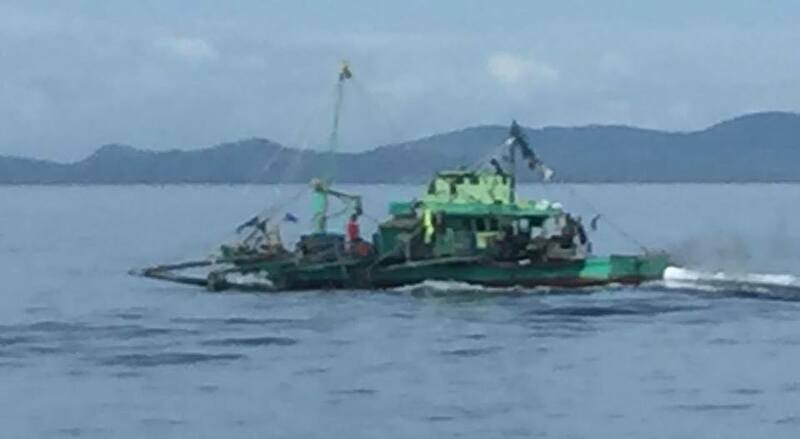 SURIGAO CITY (Oct. 21) - Jake Miranda, in his Facebook post reported that PG385, a 78-footer patrol gunboat of the Philippine Navy, under the command of Lcdr Dennis Belgira and assigned to Naval Forces Eastern Mindanao, was in an early morning chase on Thursday with a Liba-liba fleet in the rich fishing grounds southeast of Halian island in Del Carmen Municipality, Siargao Island. The fishing boats started to disperse and the gunboat quickly gave chase. 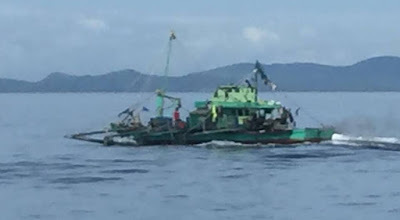 The crew aboard the mother boat was seen throwing nets and ropes overboard to dispose of the illegal gear. Some crew members even jumped into the water to escape but were quickly recovered by their smaller utility boats. 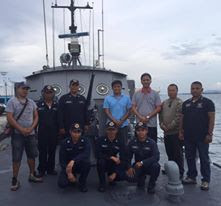 PG385 seized parts of the nets and brought it back to Surigao City this afternoon for turnover to BFAR. Mayor JR Coro of Del Carmen Municipality was immediately informed of the apparent intrusion of the Liba-liba boats in their municipal waters. He lauded the efforts of the officers and crew of the navy gunboat. It was later learned that the Liba-liba boats came from nearby Placer municipality. The liba-liba boat, around 65 feet, green and lime-green color with two mast poles. Last seen at Halian Island fleeing scene of the crime.